These articles are abridged from my book on Office to Apps migration. Going GAS, from VBA to Google Apps Script. Now available for directly from O’Reilly or Amazon. 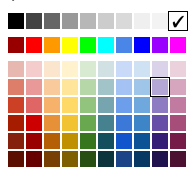 I’ve generated the material palette using this library, along with the closest matching colors in the Apps and html palette. 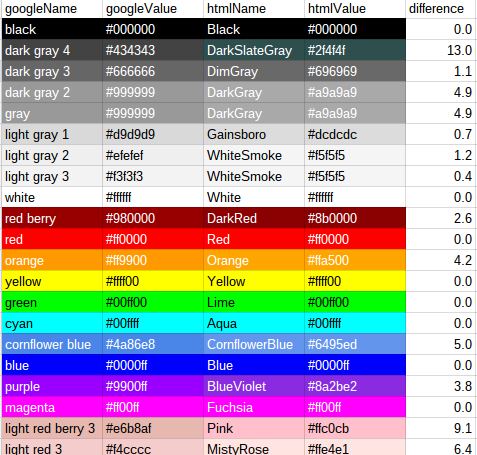 Here’s the html palette, showing the closest matches in the other palettes. It’s also available on Github if you prefer, and the test spreadsheet is here if you’d like to make a copy. 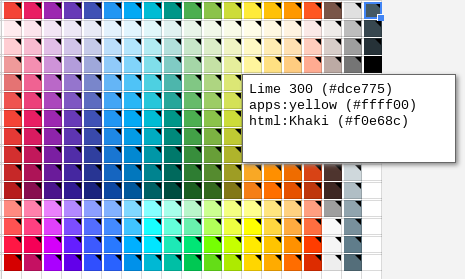 You can then use this in your Apps Script code to set background colors and avoid worrying about hex codes. (spacing and case are ignored in the color names) – for example. 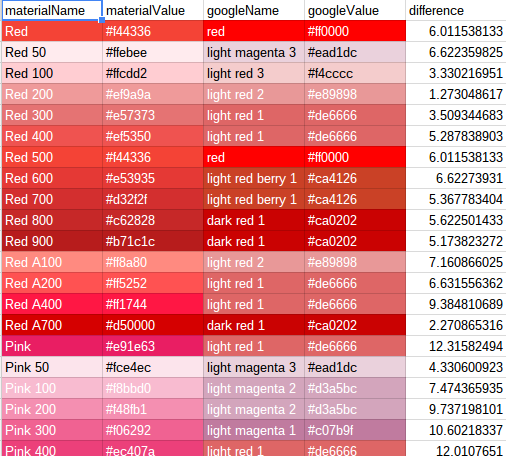 Finding the nearest match for a given color code in a palette is simple. 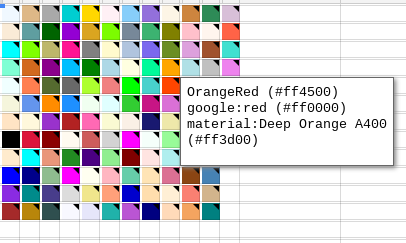 Here’s we’re looking for the closest color in the html palette to #ff9900 (orange in the google palette). It is possible to add your own palettes with a simple pattern. To demonstrate, I’ll use the material color design principle as demonstrated in the material palettesite, where you can create something like this given a primary and an accent color. By providing a primary and an accent color, here’s the same thing applied to a sheet. In this case using Amber and Blue. Here’s the code for creating a selection of combinations, each on its own sheet. 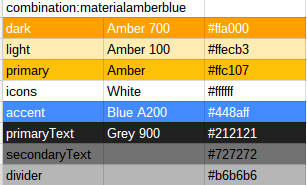 The material combination code is in the ColorList library but it’s straightforward to create your own by adapting this pattern. In this case, the colors are picked up from the material palette, but they can be anything you want them to be, as can the properties like dark, light and so on. 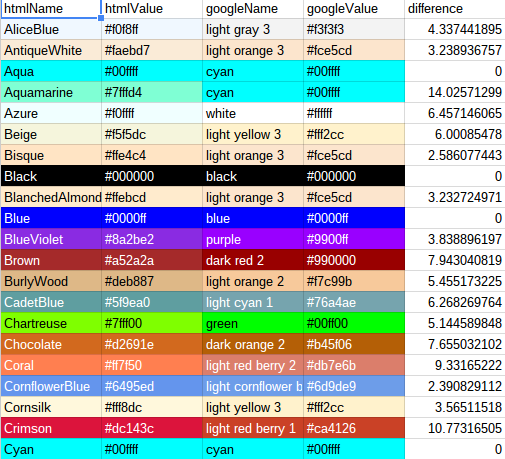 Here’s an snip of dumping all the color properties for each of these palettes to a Sheet.